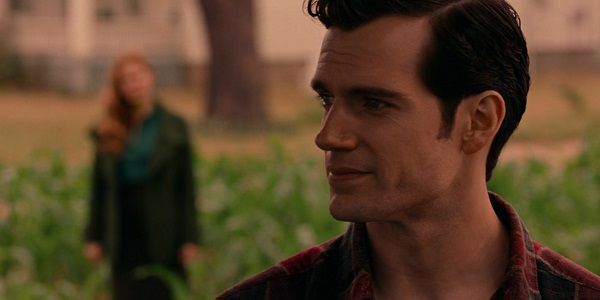 Find out why fans of Superman are going to be disappointed by the Justice League Blu-Ray. Henry Cavill was cast to play Clark Kent / Superman in Man of Steel. The character was killed in Batman v Superman: Dawn of Justice. While it was obvious to everyone on the planet that Warner Bros would never permanently kill Superman the marketing team tried hard to hide him. He was excluded from all the posters, trailers (except for Lois Lane's dream as Clark) and official merchandise. But you can't have Justice league without Superman. "I think die-hard fans will know you can't have the Justice League without Superman," says producer Deborah Snyder. "Without Superman, there was this loss of hope. At the end of ['Batman v Superman'], there was this impending doom. This danger that was coming. That was the impetus of Bruce [Wayne] recruiting the Justice League. That was the why. But the threat is so big and large that they still needed Superman. They needed to be a team." So the Justice League reanimated Superman's body using a mother box and some Kryptonian goo. Zack Snyder left the Justice League movie after the tragic death of his daughter. Joss Whedon took over post-production and reshot a great deal of footage. When the movie was released it bombed and many fans thought WB should release a new cut of the film using Zack Snyder's unused footage. Snyder has a history of releasing "Ultimate" director's cuts of films like Watchmen and Batman v Superman. It looks like that cut isn't going to happen but there will be a few special features that may have new footage. "Journey alongside DC comic creators as they explore over fifty years of the Justice League, from comic books to animated adventures to their cinematic debut." "Discover the heart, soul and mind of the Justice League, as the cast and filmmakers share their admiration for DC’s iconic Trinity: Superman, Wonder Woman and Batman." "From Batman’s arsenal to Cyborg’s alien tech, interface with the Justice League database to learn their most advanced secrets." "Join Ray Fisher on a personal tour to meet the newest members of the Justice League: Aquaman, the Flash and Cyborg." "Bonus scenes not seen in theaters"
"Join actor Ciarán Hinds and the filmmakers as they reveal the story behind mankind’s ancient enemy and the Justice League’s greatest challenge." "Take a closer look at the film-making process behind Justice League’s most visually exciting and action-packed sequences." "Take a closer look at the film-making process behind Justice League’s most visually exciting and action-packed sequences"
"Costume Designer Michael Wilkinson explores the innovation and artistry that goes into creating the costumes of DC’s iconic heroes." So if you're a Superman fan, or just want to see some of the deleted features, you'll have to pay the extra five bucks for the "4k Ultra HD Blu-ray and Blu-ray 3D Combo Pack". Even then you'll probably be disappointed. Unless it has some more scenes of Cavill's hilarious mustache. Then it would be totally worth it. What do you think of the bonus features of the Blu-Ray? Are you disappointed?